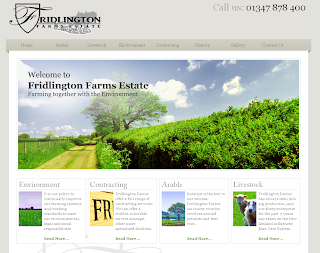 Our website of the week this week goes to Fridlington Farm's scenic yet information-rich site. It's a perfect example of how high-quality content, great photos supplied by the client and a couple of carefully selected upgrades can give a website character and make a business very well-represented. Going forward with their website, the client will always be the one that is in control of what their website says about them. A Content Management System (or, CMS like The Toolkit) doesn't have to be complicated and with a bit of practice, anyone can soon have access to endless amounts of content and feature possibilities that make their web-pages stand out from the competition. During the build process of Fridlington Farms, all special features were created with that simple fact in mind. The first feature we want to mention is the Bespoke Map Illustration, which is essentially, an Interactive Map on the History page. 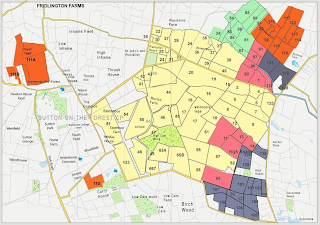 The page displays the land of Fridlington Farms but when each section is clicked on, information relevant for that section pops out of the page in a Fancybox window. These pop-ups can be easily edited within The Toolkit when and as many times as the client wants. organises all of Friddlington Farm's lovely images beautifully and makes it very easy for website users to scroll through them at a leisurely pace. Just like the Interactive Map, these galleries are easy for the client to manage and update later down the line should they want to. Remember, no matter how many or how few upgrades and features you choose for your site, our Passionate Support Team at Toolkit Websites are always here to help you every step of the way and will help you make the most of your Toolkit and all its potential. "Everything done was very well done. The staff are extremely helpful. They are very interested in getting exactly what you want done. It was top quality help." Before giving 4.5 stars for the build of their website. Read more about why using a Content Management System like The Toolkit and having control over the content of your own website is such a great idea in our blog post here. Toolkit Websites is an expert web design company in Southampton, Hampshire, UK. Get in touch to see how we can help your business grow.